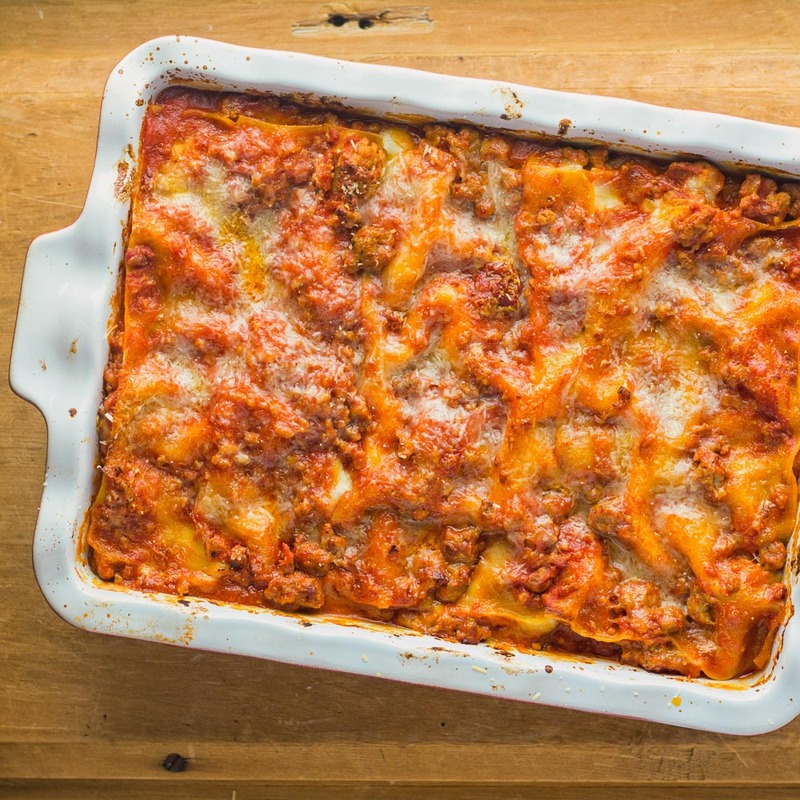 Lasagna is the king of pastas. 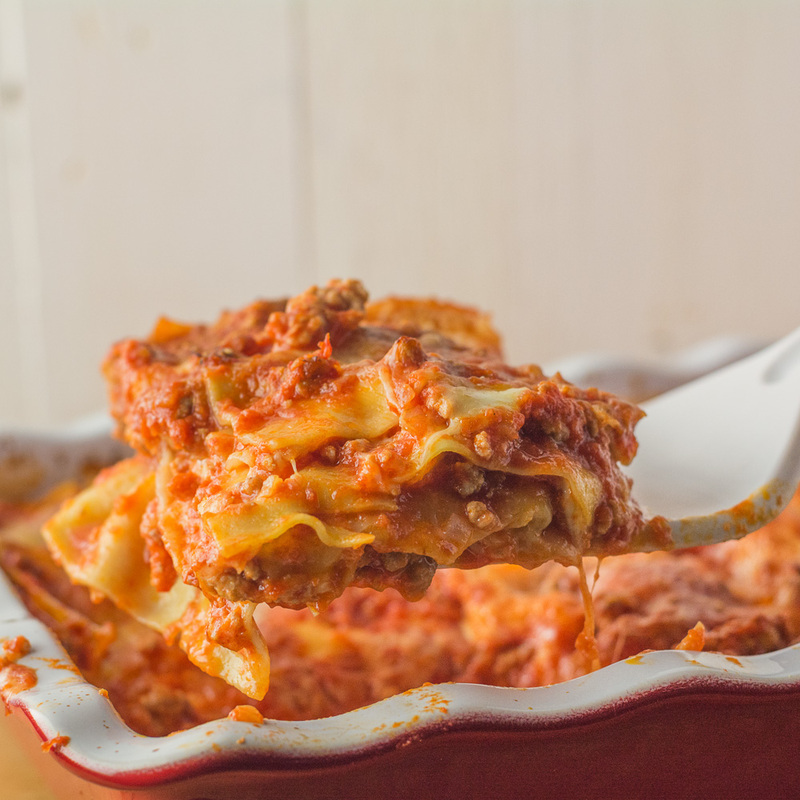 Lasagna bolognese is without a doubt the best known. The richness of the beef ragu and velvety béchamel. Heaven. The classic American Italian version loaded with cheese lasagna. Fantastic. Neapolitan Lasagna? It’s the long lost cousin. The one you have barely heard of. It’s time to get to know with lasagna with fresh mozzarella. Lasagna with fresh mozzarella is lighter tasting. Nice, clean flavours. Pork, veal and sausage replace beef. There’s lots of tomato. There’s no garlic. No celery. No carrot. No herbs. Fresh mozzarella and parmegiano reggiano replace the usual dry mozzarella or friulano. There’s no béchamel. Seems crazy. But it works. Take a leap of faith. You won’t be sorry. Try to find good quality Italian no-cook lasagna noodles. They say “crudo” on them. Fresh lasagna noodles work well. For the ultimate in wow make paper-thin homemade noodles. neapolitan lasagna with fresh mozzarella. 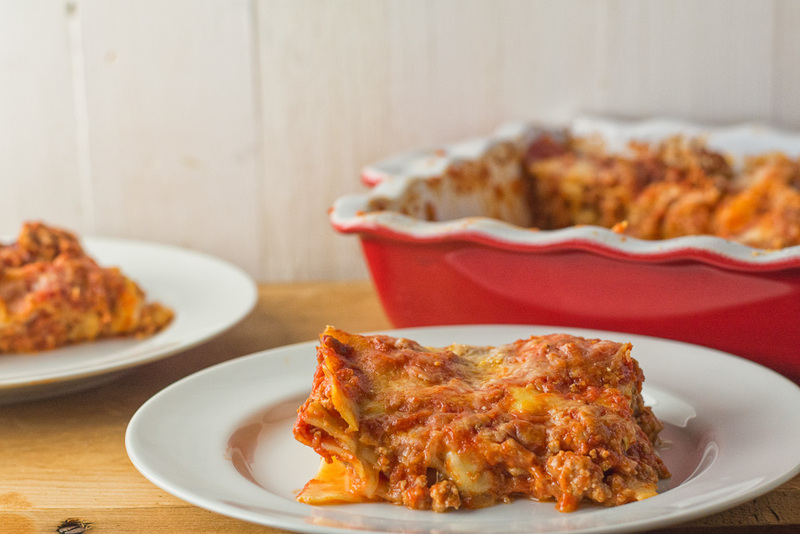 Lasagna with fresh mozzarella is a great alternative to your regular lasagna. Look for fresh mozzarella or fior di latte at your local Italian delicatessen. 1 lb fresh mozzarella (also known as fior di latte) cut into 1/2 inch cubes. Preheat your oven to 350F. Do this before you start assembling the lasagna. Spread 1/5 of the ragu in the bottom of the lasagna dish. Cover the ragu with noodles. Add the next 1/5 of the ragu onto the noodles. Top the ragu with 1/3 of the fresh mozzarella and 1/4 of the parmigiano. Layer the next row of lasagna noodles on top. Repeat this whole process (1/5 of the ragu then the cheese and noodles) twice more for a total of 4 layers. Spoon the remaining ragu over the top layer of noodles. Sprinkle the remaining 1/4 of the parmigiana to cover. Cover the lasagna with aluminum foil. Bake in your pre-heated oven for 30-40 minutes (you remembered to pre-heat your oven, right?). Bake, uncovered, for an additional 10 or 15 minutes. Remove the lasagna and let rest 15 minutes. Serve. The Neapolitan ragu recipe can be found here. Prep and cook times are for the lasagna itself. Allow time to make the ragu in your planning.